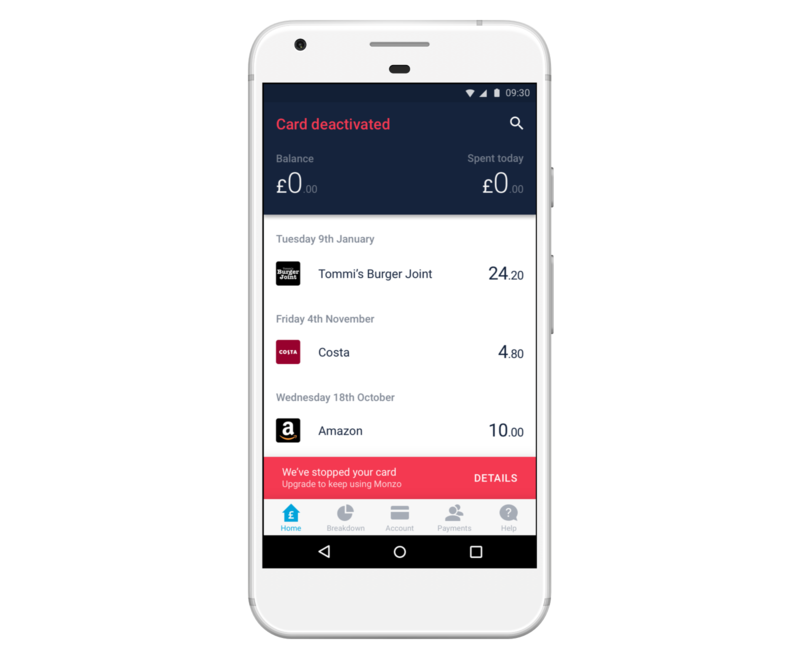 We launched the Monzo Beta back in March 2016, to make sure we were building something that people actually needed, and making it as amazing as possible. 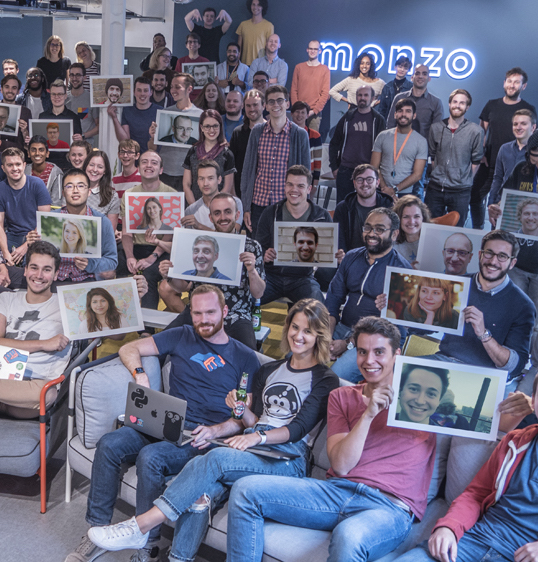 As we worked to get our banking licence and the permission to offer current accounts, your feedback and ideas have helped us understand how we can make Monzo better. We received our banking licence in 2017, started offering current accounts and asked our prepaid users to upgrade. Today, we’re pleased to say that more than 362,000 of you have chosen to upgrade, including 94% of people who use their accounts actively! If you’re one of the 98,000 people who haven’t upgraded, as we explained back in January and in our emails since then, your prepaid card has stopped working and your app can no longer send or receive payments. 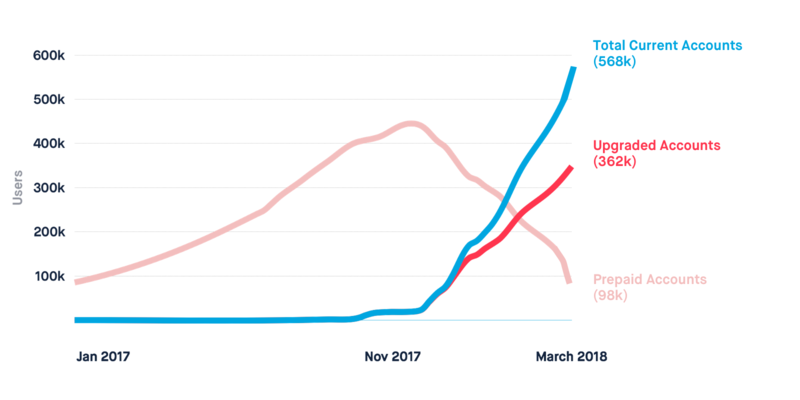 If you’d like to keep using Monzo, there’s still time to upgrade. Your balance and account history will be transferred over, and you’ll be able to use Monzo again once your new debit card arrives and you activate it. You can read more about why you should upgrade, and compare the prepaid and upgraded accounts here. If you don’t decide to upgrade, we’ll be sorry to see you go. We’ll return any money left in your account back to your original bank cards, or transfer it to one of your bank accounts over the next few weeks. If neither of those are possible, we’ll get in touch to find out the best way to make sure we return your money safely. Whether you’re brand new to Monzo or you’ve been with us from the start. Whether you’re joining us for what’s next, or choosing not to upgrade, thank you. Your support, ideas and frank feedback are the only reason we’ve been able to build Monzo into what it is today. We’ve answered a few common questions here, but if you have any more, just chat to us in the app. Upgraded accounts have all the features you’d expect from Monzo: spending breakdowns, built-in budgeting, Monzo-to-Monzo payments, debit card top ups and free card payments abroad. The difference is that upgraded accounts also come with a sort code and account number, so you can make bank transfers, set up Direct Debits and standing orders, and get your salary paid straight in. You’ll also have access to features like Google Pay and Pots, but you’ll only have an overdraft if you opt in and are eligible. This table clearly compares the two accounts. Can I have more than one bank account? Or do I need to switch to Monzo? You can have more than one current account, so if you upgrade your Monzo account you don’t need to close your existing one unless you want to. Does upgrading affect my credit score? No. Upgrading to a current account will not impact your credit score, unless you happen to apply for multiple current accounts in a short period of time. You can find out more here. Will upgrading cost me money? Absolutely not. It’s totally free to upgrade, and there are no additional charges on upgraded accounts. I’m travelling abroad with my prepaid card. Can I still upgrade? Yes! To start using Monzo again, just tap the banner to upgrade in the app and follow the instructions. We can send you a new debit card, wherever you are in the world. Just enter a different delivery address in the app so we know where to send it. Once it arrives, activate it by tapping the banner in the app to start using Monzo again straight away. We’ll make sure to get your money back to you, either by returning it to the cards you used to top up or sending it via bank transfer to one of your accounts. If neither of those are possible, we’ll contact you to find the best way. We’re going to start issuing these refunds on April 12, allowing enough time for your balance to settle (e.g. if you have any pending transactions). The money should arrive in your other bank account 5–10 days after that. Half a Million Current Accounts!